Unsatisfied with the numbers at the recent MILLIONS UK event at Dusk Til Dawn, Yong looks to make some changes. Rob Yong thinks partypoker LIVE MILLIONS main events should be freezeouts with more online qualifiers. 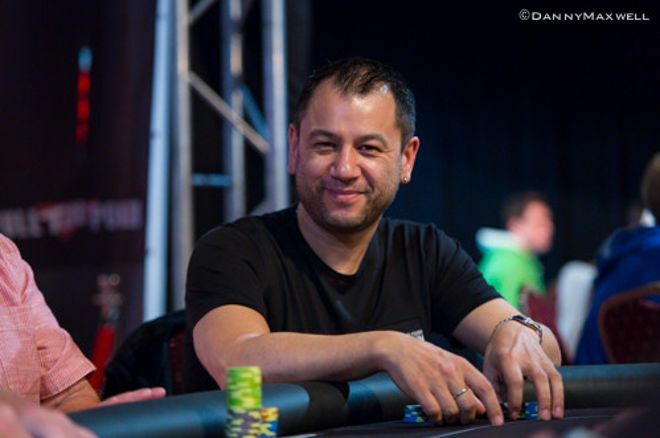 Rob Yong, owner of Dusk Til Dawn Nottingham (DTD), put out a blog on partypoker on Wednesday in which he called the recent partypoker Live MILLIONS UK event his venue recently hosted a “big disappointment.” He was speaking in terms of numbers, with this year’s £5,300 (~$7,000 US) Main Event drawing 1,014 and last year’s getting around 300 more runners. Yong attributed the reduced turnout to the different approach to qualifying players. Whereas last year they had 500 direct online qualifiers, this year’s system changed to relying on players to use their PP Live Dollars to buy into the event. As a result, Yong pointed out only 200 players chose to spend PP Live Dollars on the MILLIIONS UK event, which is understandable considering players have many other potentially more prestigious and attractive event locales from which to choose. "It must be soul destroying to bust Fedor Holz and have to bust him again... and again!" Old School Yong also raised a point about the age-old re-entry debate. Yong remembers fondly the excitement of the original European Poker Tour (EPT) days when one bullet was all you got in prestigious big buy-in events, where knocking out a top pro meant you ended their bid for the title. If Yong had it his way, MILLIONS main events would mimic those original EPT Mains and be freezeouts. He also recognizes that there are many other desirable tours out there, many of which DTD partners with. For the partypoker MILLIONS events to have a place in the live tournament poker ecosystem then, they need to offer something different rather than compete with those existing tours. Yong mentions the partypoker four-year partnership with the World Poker Tour (WPT) that starts at Playground this month with $3K-$5K main events, as well as their partnership with the WSOP Circuit that offers main events at the $1K to $1,500 price point. Yong isn’t interested in competing with these friends, and sat down with EPT founder and partypoker Live President John Duthie during MILLIONS UK to hash out a new format for MILLIONS main events next year. The features they came up with, Yong points out, are reminiscent of those original EPTs of old. Yong finished with some announcements of upcoming events players can expect at DTD, including direct Mega satellites for the upcoming WSOPE Main Event at King’s Casino in Rozvadov. Satellites will run for two weeks beginning Sunday, Oct. 14 with ten €10K Main Event seats guaranteed daily. "I am not sure whether DTD is ‘big enuf’ to host a MILLIONS at $10K buy-in... but we will discuss with players." He also announced that as a thank you to players for their support of partypoker LIVE events the past 12 months, $500,000 of value will be added to the WSOPE online satellites running at partypoker for the two weeks leading up to the event, at buy-in levels from €0.01 up to €1,050. Yong concludes his blog by promising players that DTD will be coming back strong in 2019 with UKPC, WPT and “hopefully a WSOP.” He also notes, "I am not sure whether DTD is ‘big enuf’ to host a MILLIONS at $10K buy-in, as international players may prefer the other ‘more glamorous’ stops, but we will discuss with players." You can read Yong's blog in full at partypoker Live.